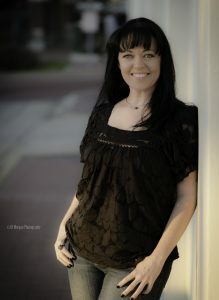 I’m Morrighan Lynne, Spiritual Rockstar, Intuitive Life Coach and Lover of All Things Magickal! I assist, support and cheer people on to remember their true and authentic self. In this crazy world where we are pressured to play our roles, where expectations and obligations rule our decision making process, “Knowing Self” is the best Super Power we have at our disposal. But as the years pass by and time marches on we tend to forget who we truly are. We cut away the pieces and parts that don’t fit in with the crowd and we push down anything that is unwanted, uncomfortable, and unaccepted by others. What we are left with is an outer shell somewhat resembling who we were born to be. But what if we could just get past the hard candy shell, the layers, and facades? What would it feel like to be so present that nothing could shake you? What would you do in this world if you no longer apologized for who you were? Can you imagine the freedom, joy, and exhilaration of just being YOU?! THAT is what I do! That is who I am! I am a strong stand for people to Re-Member who they are. For them to reclaim the pieces and parts they lost along the way. To once and for all accept that there is nothing missing. You don’t have to climb the highest mountains, look under every rock, or decode the mysteries of the Universe! Everything you need, everything you are seeking is already within you. I create a safe space for you to explore your vulnerability and deep authenticity. I hold you in a space where you can ask the bigger questions. I walk with you, side by side, through the shadow of your soul, demystifying and being a witness to your transformation. I mirror back to you the things you don’t see, allowing for clarity to recognize those pesky patterns and programs. I lovingly hold you in accountability for your own growth, motivating you to keep going when things get uncomfortable. Together we walk through the fires of transformation, to the other side…and there…lies all the answers. Being an eclectic gypsy soul I have quite the collection of tools to pull from that will support you in your journey. I use my connection with Source, guidance from the angels & guides, Clairvoyance, Clairaudience, Empathic sense and infallible trust for the process. I trust Spirit completely and know we will be guided in the direction that will best serve you and your situation. It isn’t enough to want something to change, we have to step up and make the necessary changes. We don’t always know where to start and often it is too overwhelming to push on. But I’ll be there with you, every step of the way. It is an honor and privilege to watch that transformation take place. You are more than you think. Your value is ready to be tapped and sprung forth with a mighty flow! It’s time for YOU! Let’s do this! Go to My Calendar and schedule a Complimentary Consultation and we’ll create the perfect plan for you to come back to yourself.